During the playback process, this Jerry HiFi Speaker can magnify and process various indicators of the sound signal without distortion, to restore the original appearance of the sound source, specifically for listening to music. It uses a mixture of a variety of conductive materials to capture the advantages of different wire materials to achieve a more balanced and accurate transmission. The Mini USB Speaker wireless Bluetooth connect play. The Bluetooth Speaker from up to 10m away with crystal clear sound.The Mini USB Speaker rugged design is completely dirt-proof and sand-proof. The USB speaker is built with 3 audio drivers,1 subwoofer to ensure for rich full sound all night long. Home Theater/ KTV/Outdoor Activities, etc. 1. 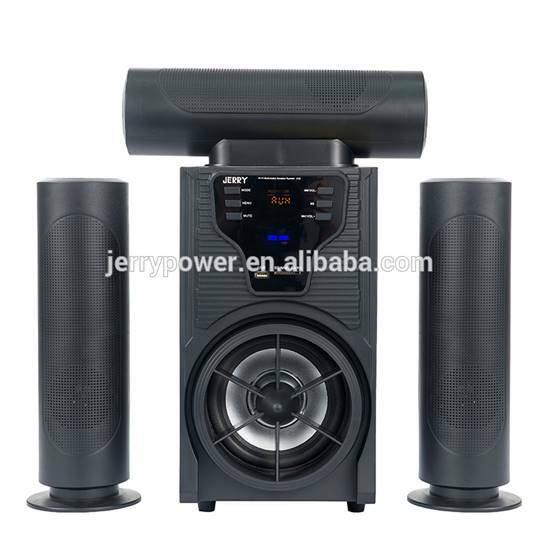 Jerry HiFi Speaker can make the music camp achieve a precise balance within the range that the human ear can feel. There is no deliberate enhancement and weakening, or deliberate neglect, reflecting the harmony of music. 2. This device can perfectly depict the position of several parts, giving people a sense of space and layering. 3. It does not pay attention to the wire structure, emphasizing the use of high-purity conductor materials to improve transmission performance. 4. It tries to make the electrostatic capacitance values of high, medium and low frequencies tend to be consistent, preventing low-frequency attenuation due to the rise of the low-frequency electrostatic capacitance value, thus achieving a perfectly balanced full-range transmission characteristic.